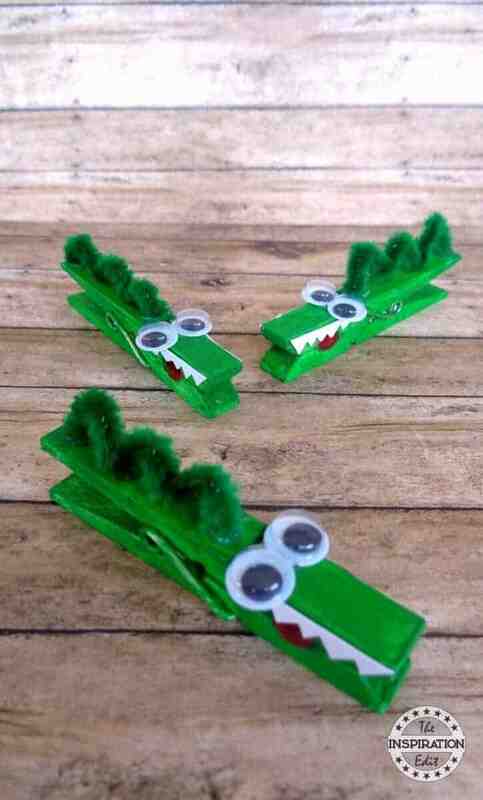 Today on The Inspiration Edit I have a fantastic, fun and simple clothes peg crocodile craft to share with you. 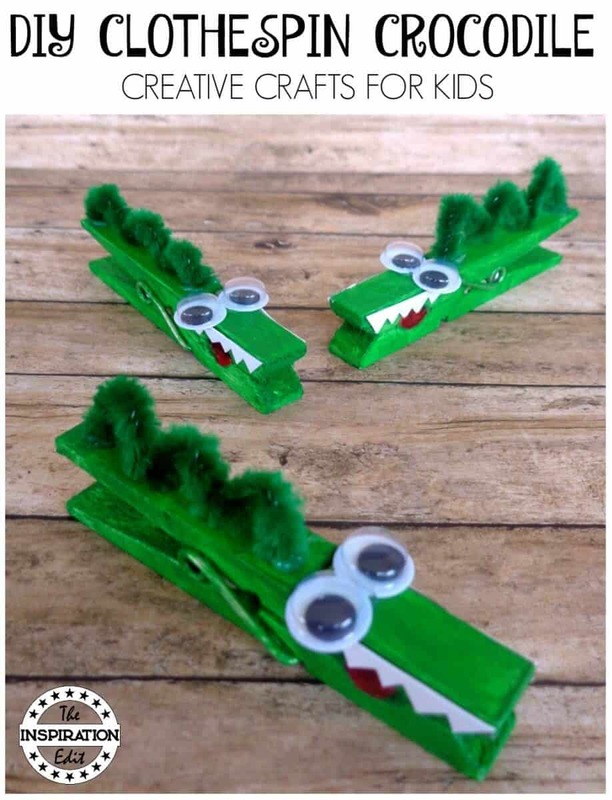 This is a great clothespin craft that can be made both at home and as an easy preschool craft idea. 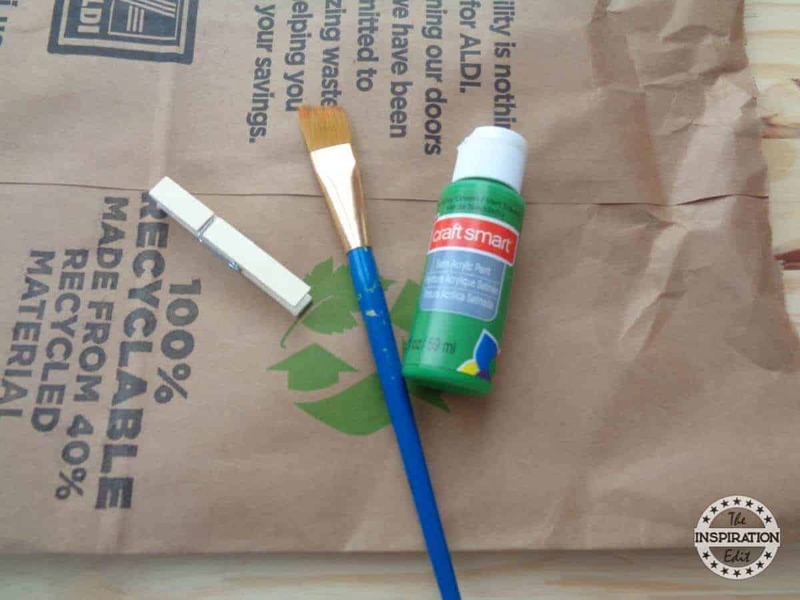 Painting and creating with kids is not only fun but educational. 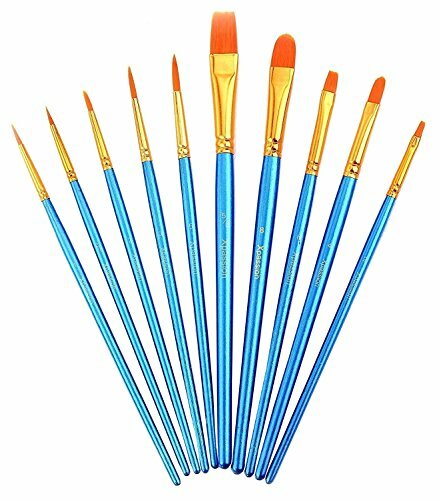 It’s a great way to expand the imagination, develop fine motor skills and get kids talking and working on those arty skills. 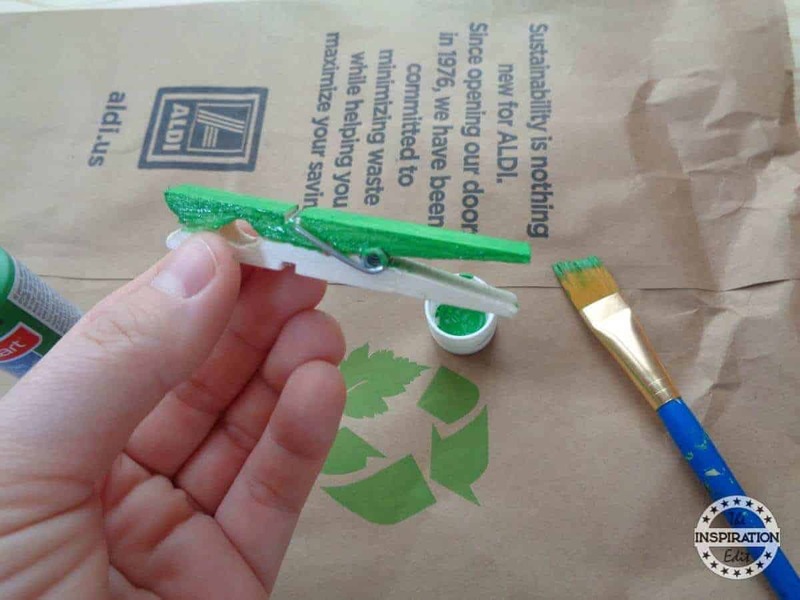 Begin by painting your clothespins green. 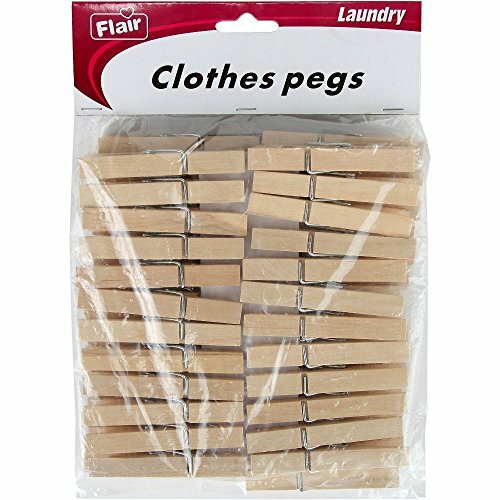 Set aside and allow your clothespins to dry completely. 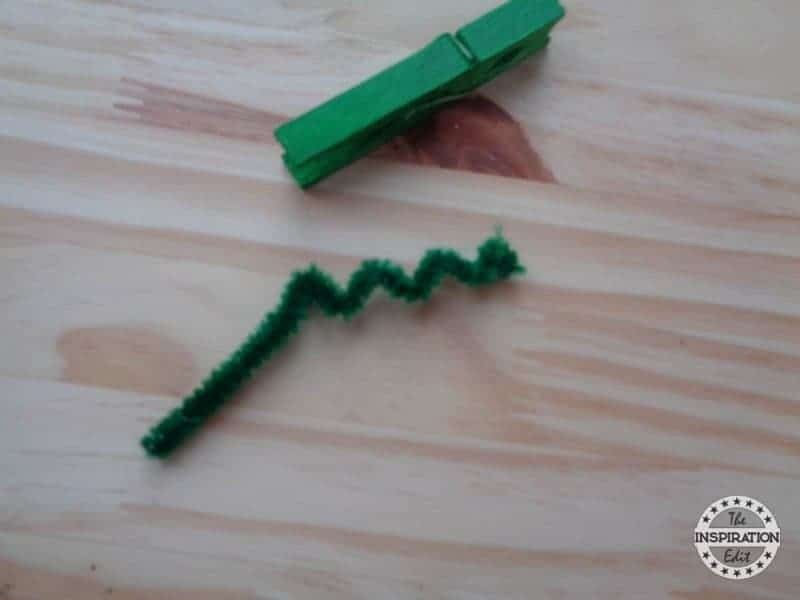 Bend your green pipe cleaner in a zigzag pattern. 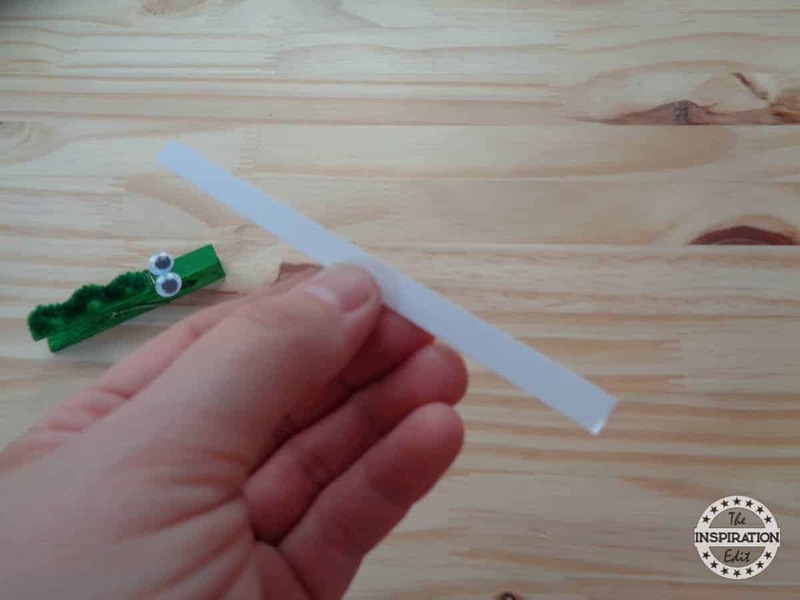 Cut your pipe cleaner to fit the top of your clothespin using the metal portion as a guide. 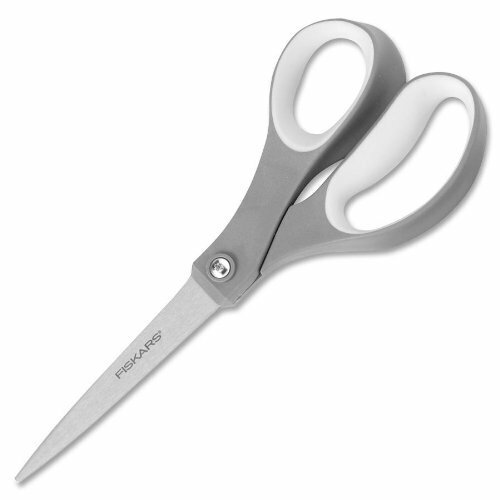 Don’t go past the metal with the pipe cleaner. 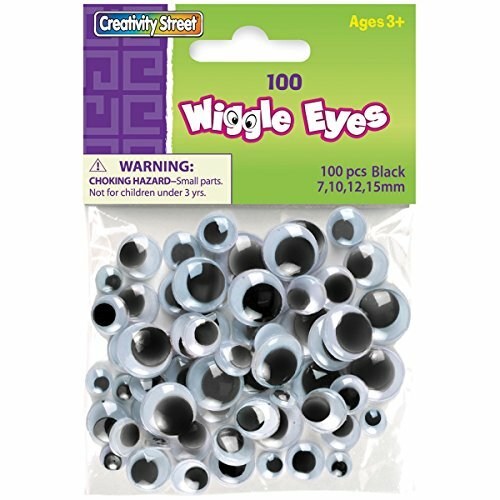 Hot glue your pipe cleaner in place. 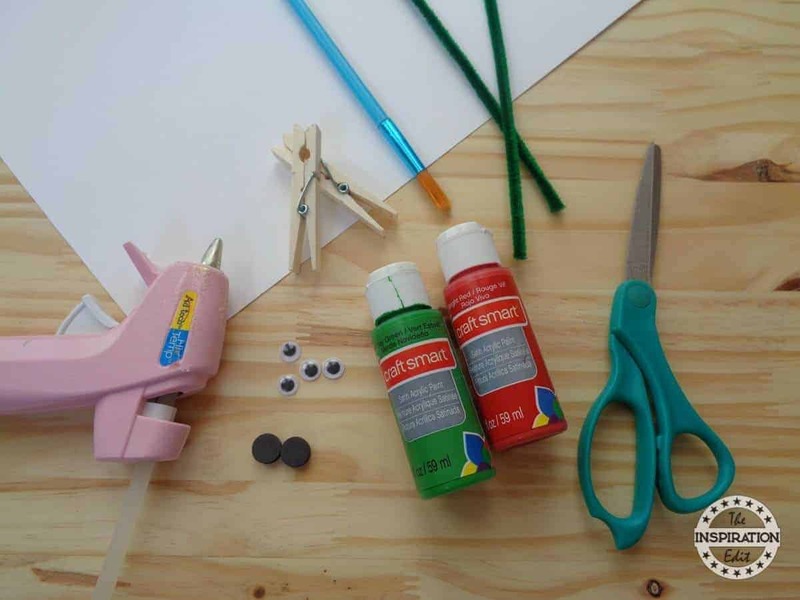 Hot glue googly eyes on top of your clothespin. 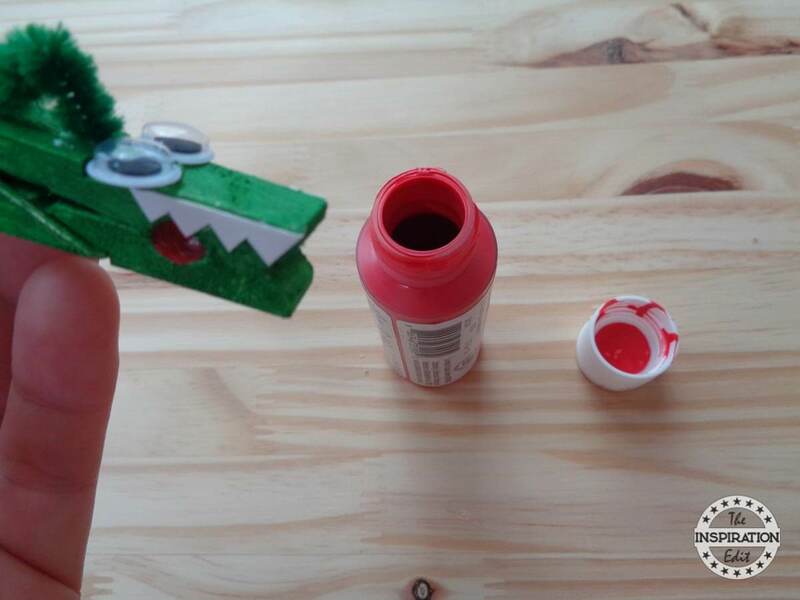 Paint the inside of your crocodile’s mouth red. 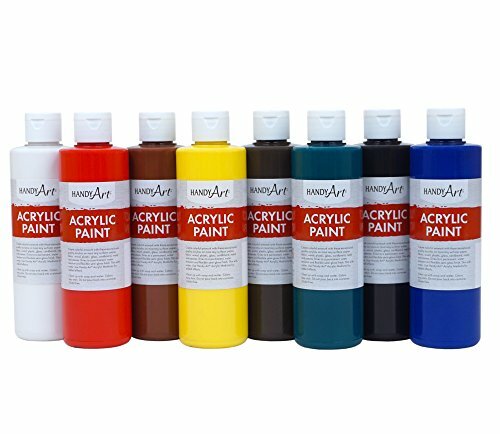 Allow to dry completely before moving on to the next step. 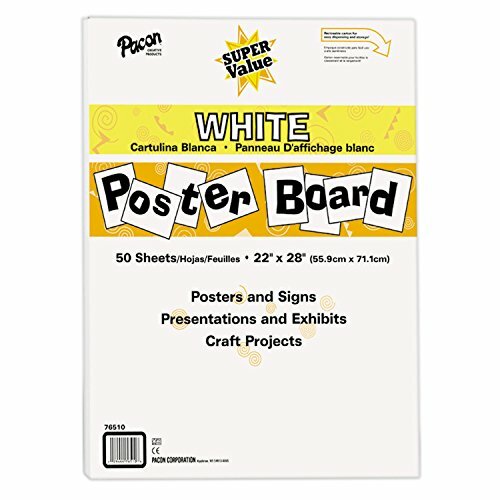 Using scraps of white poster board, create alligator teeth by zigzagging your scissors. Hot glue the zig zag teeth in place. 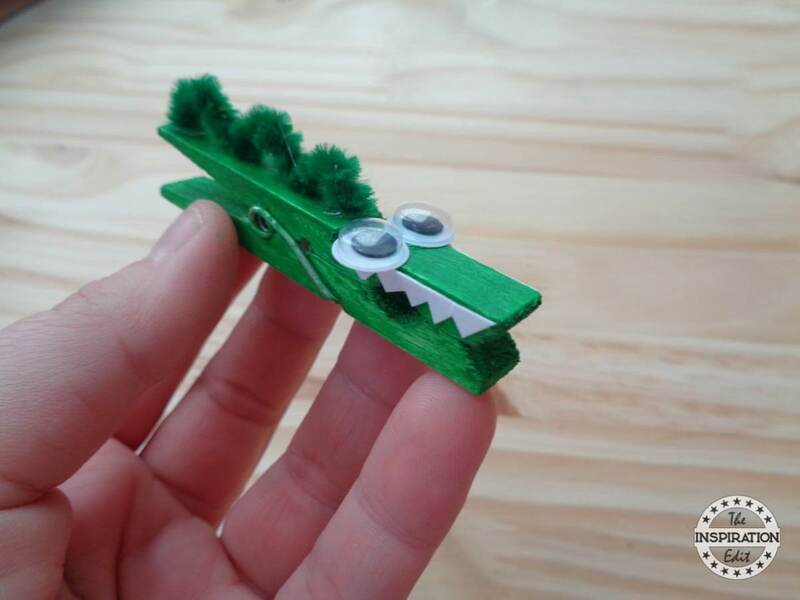 Turn over your Crocodile craft and glue a magnet to the back. 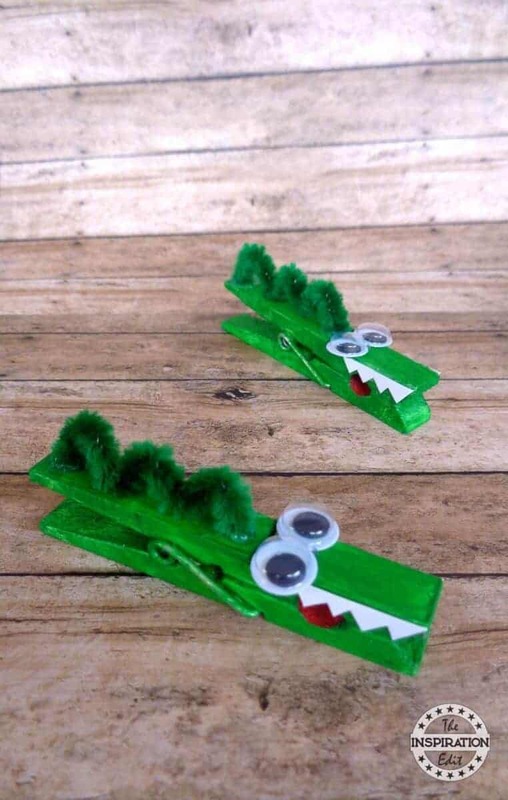 Enjoy this fantastic crocodile craft idea. 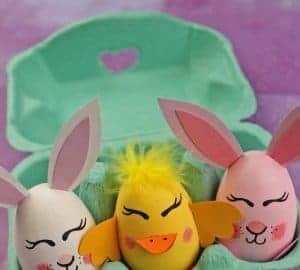 It is such an easy craft for preschoolers and I love it. 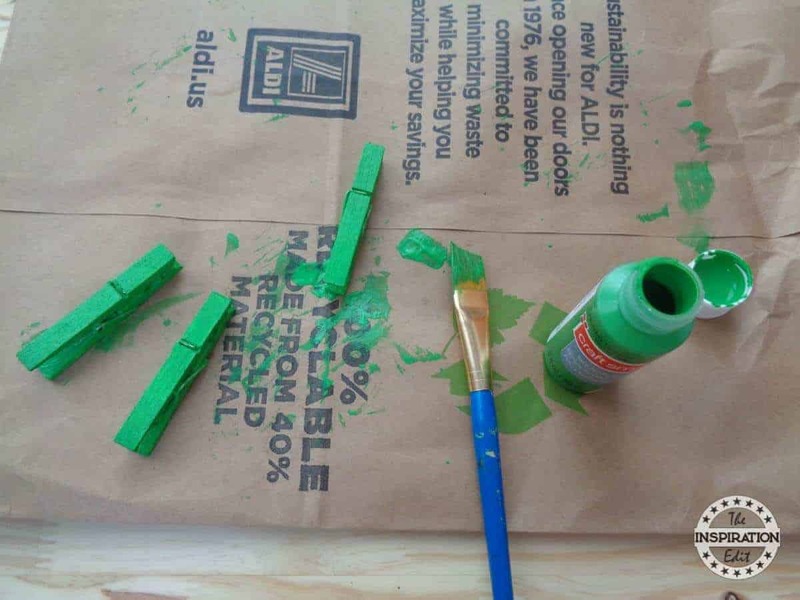 Have you ever made clothespin crafts for preschoolers before? I’d love to hear your ideas! 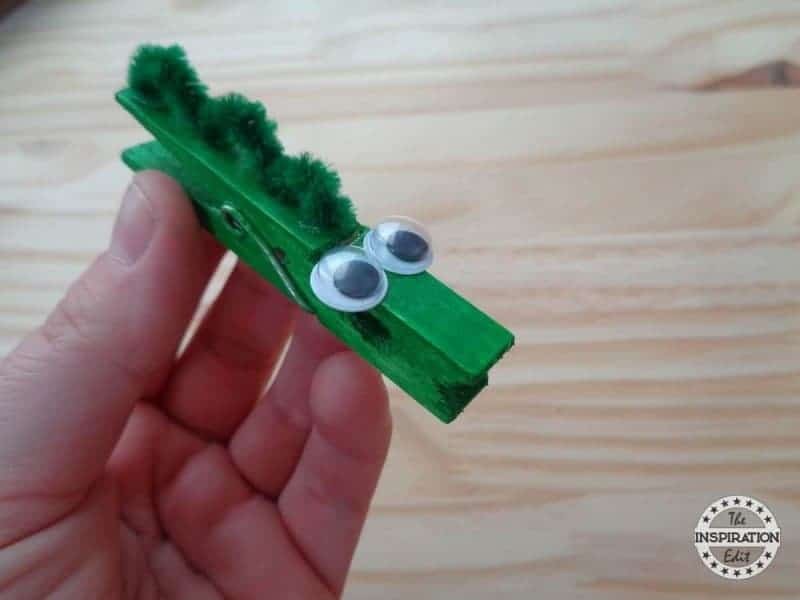 Why not try making more clothing pin creatures. 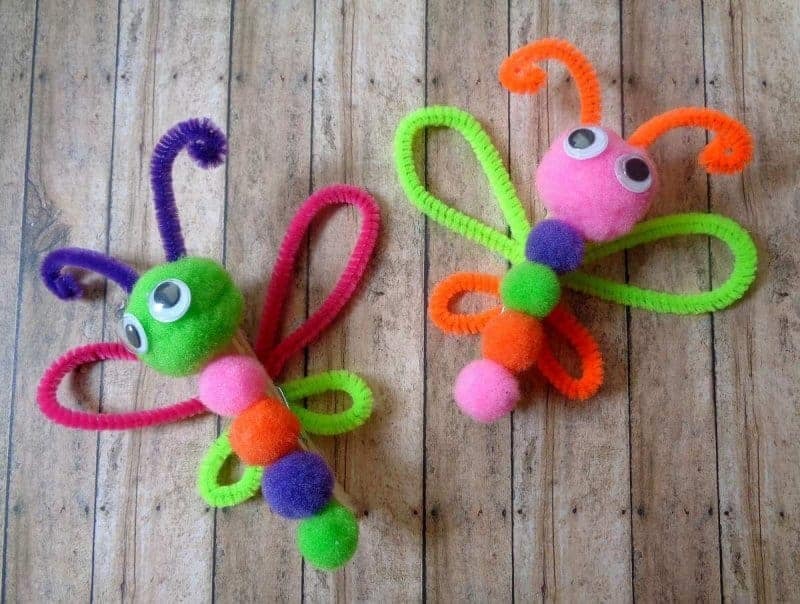 It is super fun and a fantastic craft to make at home with the kids or in the classroom.